In 1946, the Sons of Italy sold the Richard N. Allen House to the American Society of Heating and Ventilating Engineers (today known as ASHRAE--the American Society of Heating, Refrigerating and Air-Conditioning Engineers). ASHRAE operated its national research laboratory in the house from 1947 until 1961. In this photograph taken in 1960, the Richard N. Allen House is on the right. 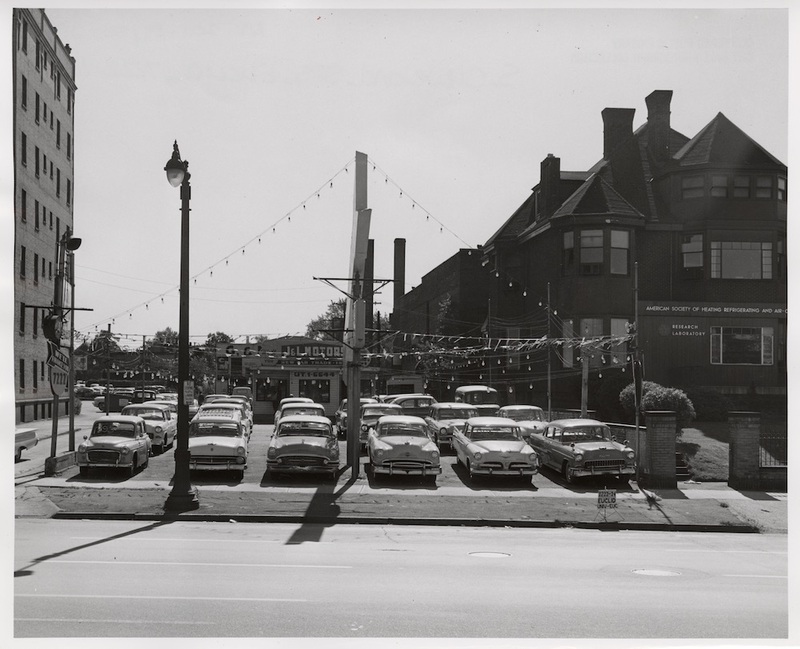 To the left of it is a used car lot upon which at one time sat the grand Euclid home of wholesale grocer Samuel F. Haserot, designed by Charles Schweinfurth in 1892. To the left of the car lot is an apartment building, which at one time was site of the grand home of Martin Snyder, a lumber dealer, who became an associate of John D. Rockefeller in the early days of the Standard Oil Company.